Interested in a collectible burlap potato sack? Available for purchase here: Cleverdon Farm Vintage Burlap Sacks. In 1929, Jim Cleverdon, a recent graduate in engineering from Tulane University, started farming on some land west of Summerdale, Alabama. His dad had previously kept cows on the property, but at a time when the country was in its worse depression, the Cleverdons decided to grow an essential crop of Irish potatoes. 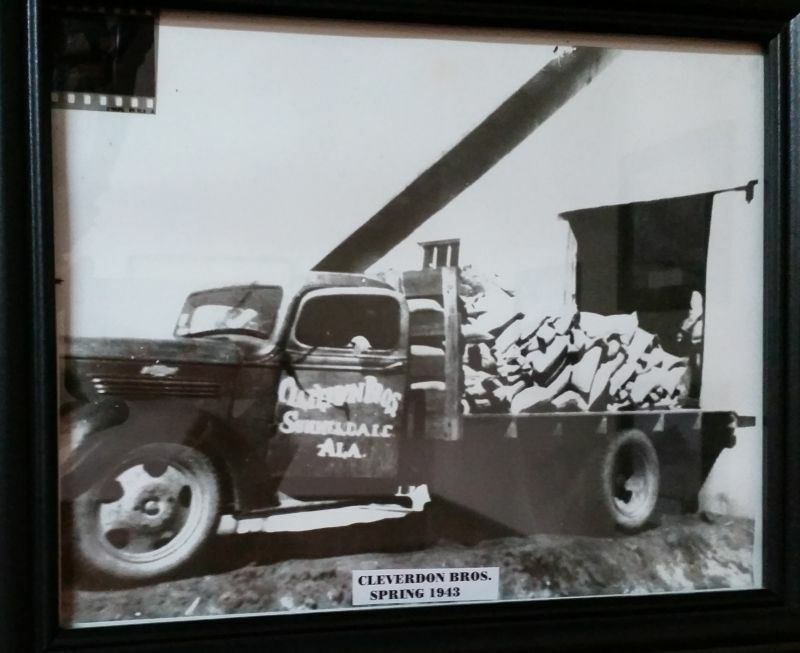 About 1938, Paul Cleverdon, Jim’s youngest brother, a graduate in chemical engineering from the University of Alabama, who had been working for Scott Paper in Mobile, joined him on the farm. They decided to name the enterprise Cleverdon Brothers. 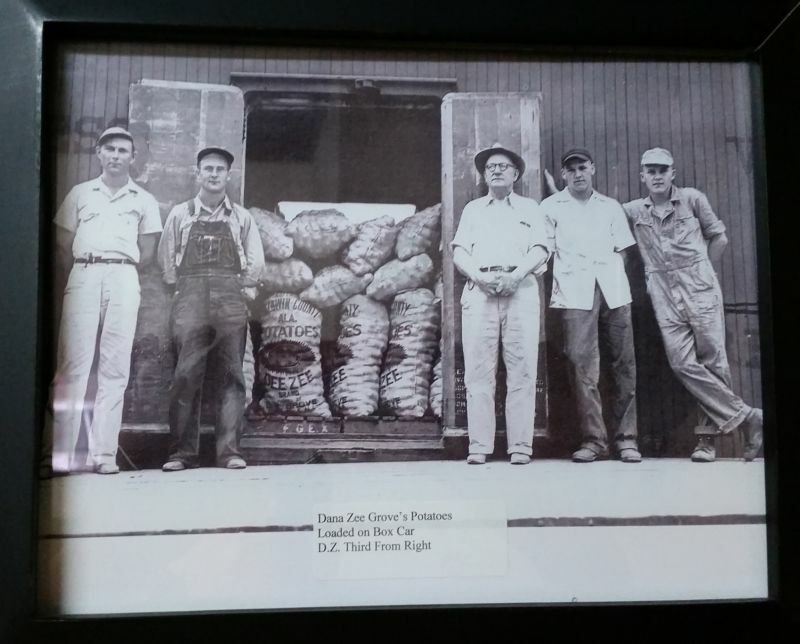 They built a potato shed along the railroad track in Summerdale to pack and ship their produce that included cucumbers and potatoes. 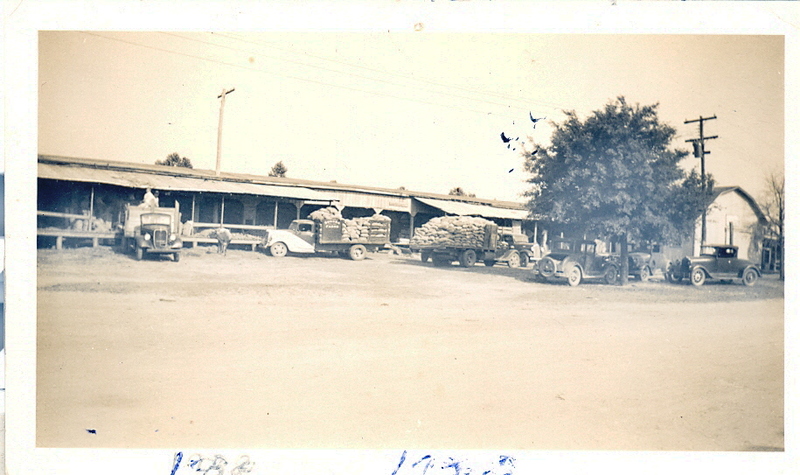 Many local people were employed over the years to grade, bag, and ship those products. 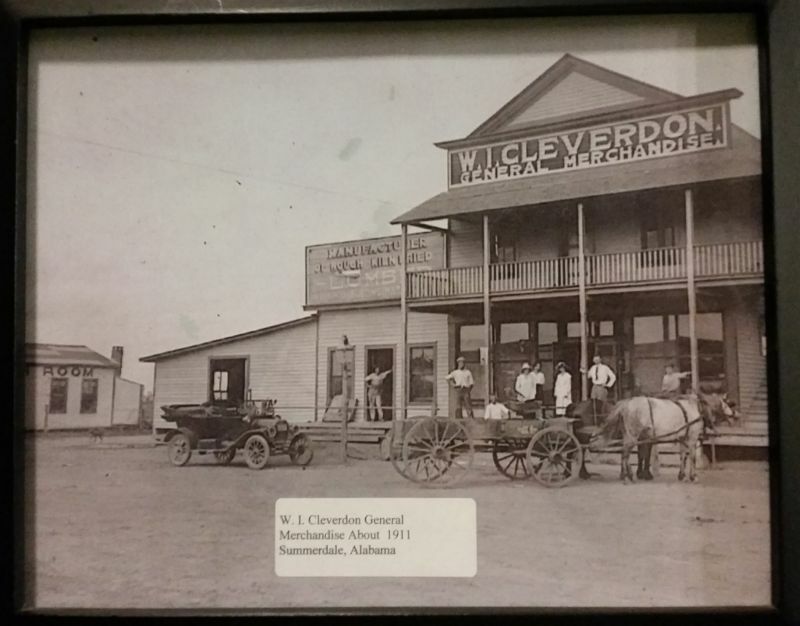 The whole Cleverdon family was involved in this enterprise as well! Jim Cleverdon died in 1946, so Paul took over the operations of the farm. He added Capital Chemical Company to the business as well as selling Lockwood Potato Machinery to all the other potato farmers in the area. Now the farm produced corn, soybeans and wheat as well as potatoes in season. In the early 1960’s Paul persuaded his son, William, “Bill”, to join him at the farm. Bill increased the farm by purchasing the Hershey Guthrie farm in Bon Secour in 1970. Now the farm stretched from Summerdale to Bon Secour, Alabama. Like his father, Bill had attended the University of Alabama where he got his degree in biology. Bill Cleverdon was one of the first farmers in Baldwin County to add center pivot irrigations to the farm, and use computers to manage the business of farming. He also traveled around the country to see innovations other farmers had made to growing different crops, particularly potatoes. This was a main activity of family vacations. Today, the farm is under the leadership of Bill’s sons, William Jr. (Tommy), B.S. Agricultural Economics, Auburn University, and Dana G. Cleverdon, B.S. Computer Engineering, Auburn University. In 1998 the farm began growing turf grass for the first time. By the spring of 2002, sod production and sales had become the largest component of the overall farm business. Celeverdon Farms, Inc., as it is known today, has three main locations and dozens of additional smaller locations to meet the high demand of the sod business, and places great focus on producing a superior product. The owners and management team visit the fields daily checking the quality of the grass to ensure the best possible product. We are also committed to our community, supporting the schools, local youth teams, charity runs, YMCA, high school sports, and Rotary Club as well as our individual churches. Bill Cleverdon is still on the Baldwin County Soil and Water Board where he has served for 25 years, and the farm strives to use good farming practices to prevent erosion, avoid waste, keep silt and nitrate runoff out of the rivers. This is our home, and our customers are our neighbors, so we go above and beyond to be good stewards of the land. We love Baldwin County and want to give back some of what it has given us.